Congratulations to Laura Hix for winning a copy of The Austen Escape! Please e-mail your mailing address to my assistant Christen (amy@triciagoyer.com). 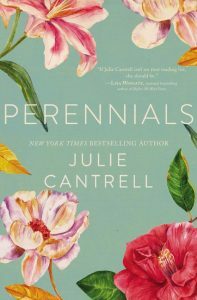 Enter below for a chance to win a copy of Julie Cantrell’s Perennials! My mother gave me such a gift by teaching me to value books. She read many stories to me, but I had two definite favorites. 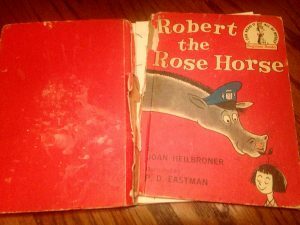 One was Robert the Rose Horse by Joan Heilbroner and P.D. Eastman. Perhaps this is why I have always had an affinity for horses and flowers. The second was a Richard Scarry book. My favorite page featured Santa Claus and a Christmas tree. I guess that’s why one of my first sentences was, “Ho! Ho! Ho!” and I’m still a sucker for sentimental holiday stories today. As I got a little older, I became obsessed with Pippi Longstocking. Probably because I wanted to keep a real horse on our porch and I dreamed of exploring the world with a monkey as my co-pilot. Who wouldn’t? Pippi remains one of my favorite literary characters of all time. In fact, she ended up playing a bit of a role in my fourth novel, Perennials. Isn’t it interesting how a childhood experience can resurface when we least expect it? To Kill a Mockingbird by Harper Lee. Many people cite that book as one of great influence in their lives, especially Southerners. But when my high school English teacher assigned the novel, she asked us to journal as if we were one of the characters in the story. I chose to write from Scout’s point of view, and that assignment changed my life. It introduced me to the power of fiction writing, and I’m still addicted to that great escape. What was the last book you read just for fun? One I’ve read recently is On Living by Kerry Egan. She’s a hospice chaplain who has written about the experiences she’s encountered in that unique and challenging role. While that may not sound like a “fun” read, I found it both inspiring and enjoyable. Plus a large stack of books on topics I’m researching for current and future novels. Oh, my goodness. I can’t answer that! That’s the thing about having friends who are authors … I can’t pick favorite books anymore. Maybe it’s because I now know how much work goes into creating a book, but I just sit in awe of every single story that ever hits shelves. I will say, I’m always hungry for another book by Anne Lamott, Sue Monk Kidd, Barbara Kingsolver, Marilynne Robinson, or Ann Voskamp. I can never get enough of their writing. 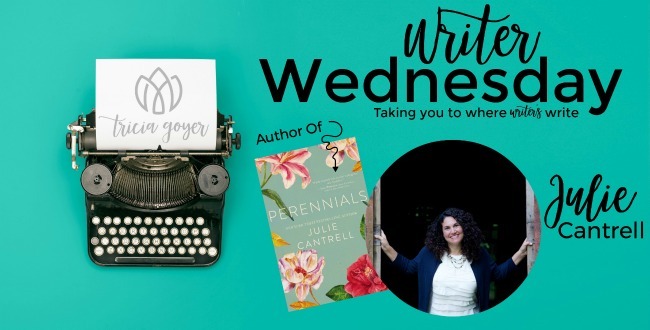 Julie Cantrell is an award-winning New York Times and USA TODAY bestselling novelist and public speaker. A TEDx presenter, she is known to inspire others to live a more compassionate and authentic life. Her fourth novel, Perennials, released November 14. I loved your sample peek into Perannials. Sounds like very good read. Thanks for your generous giveaway. Have a Happy Thanksgiving. OOO so happy about this giveaway….love Julie’s books and anxious to read this one! 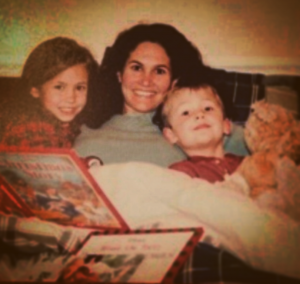 That picture of the book you loved as a child is so sweet — it was certainly well-loved! 🙂 I think that’s beautiful how that appreciation for books at a young age blossomed into becoming an author with books of your very own! !